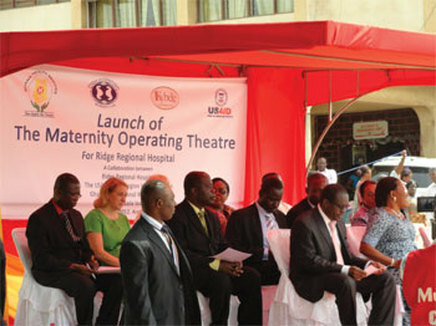 A modern operating theatre dedicated to emergency childbirth care was officially opened at Ridge Regional Hospital on March 1, 2012. 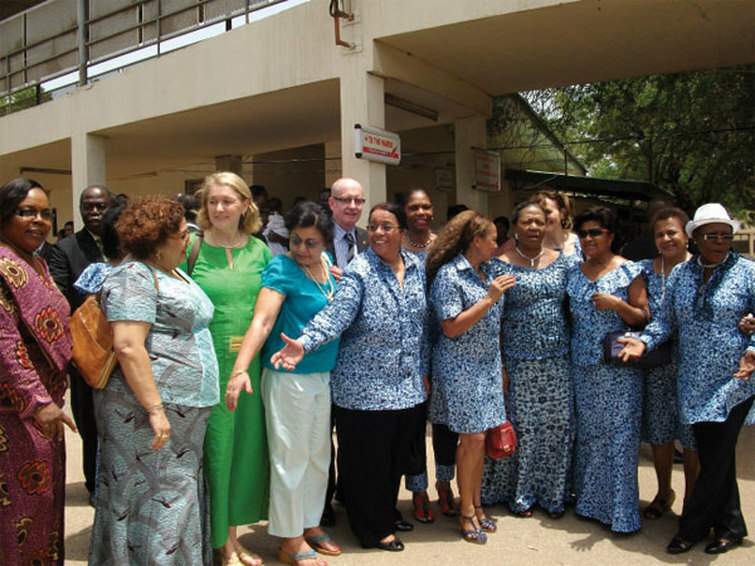 This new theatre will allow Ridge Regional Hospital to respond more rapidly and completely to the needs of women throughout the Greater Accra Region who need emergency childbirth care. The new facility makes it possible for medical doctors to reduce delays in performing cesarean sections, thus saving the lives of the mothers and their babies. 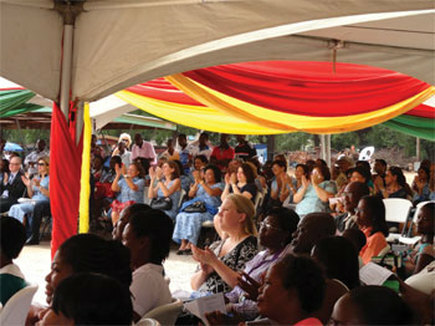 The well-equipped theatre, capable of supporting two life-saving operations at a time, is the result of a strong collaborative effort of the Ministry of Health, the United States Agency for International Development (USAID), the Ghana International Women’s Club (GIWC) and Kybele Inc. (a US NGO). Each of the partners provided critical inputs for the theatre. 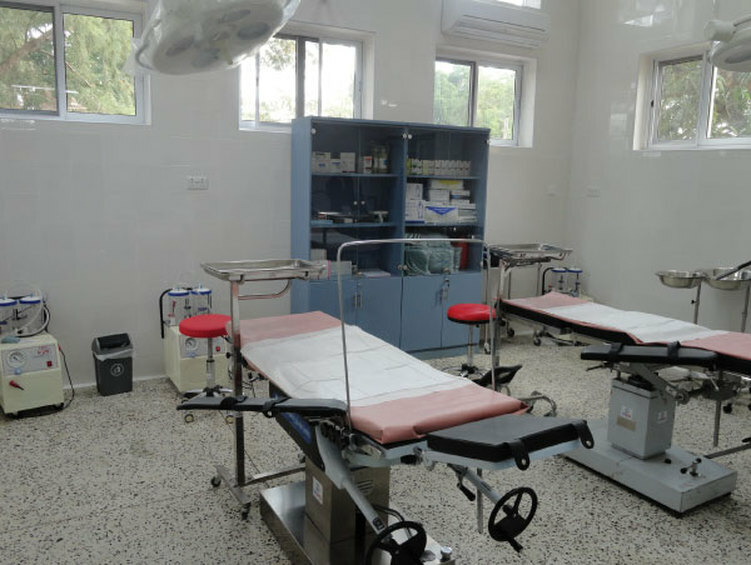 GIWC raised funds to finance the renovation works and oversaw the day-to-day construction to turn the unused, dilapidated former operating theatre into a modern facility. USAID provided new medical and surgical equipment for the theatre and recovery area through its Focus Region Health Project. Kybele provided volunteer medical staff who worked closely with the Ridge Regional Hospital staff to increase operational capacity and promote continuous quality improvement and efficiency within the Obstetrics and Gynecology Department. 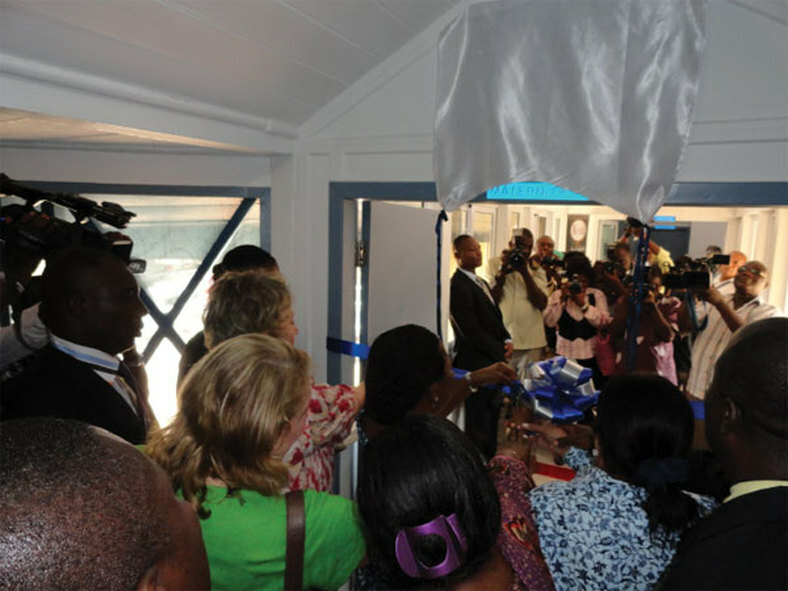 The Ministry of Health and its agency, the Ghana Health Service, supported the Ridge Regional Hospital with engineering expertise. This renovation of a disused area of the hospital directly contributes to Ghana’s achievement of Millennium Development Goals (MDGs) four and five. MDG 4 aims to reduce the mortality of children under five by two thirds, and MDG 5 aims to reduce maternal mortality by three quarters from 1990 to 2015.